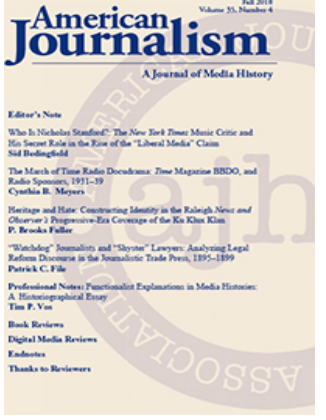 Deception for Journalism’s Sake: A Database is a spectacular find for journalism historians. The database, maintained by Professor Brooke Kroeger in collaboration with New York University libraries, contains original articles by undercover reporters, showcasing two centuries’ worth of investigative reports. The work of journalists who worked in sweatshops, feigned insanity, and even visited so-called “witches” to expose misconduct has been captured and preserved. However, the database remains relatively unknown to most journalism scholars.